Rappaport serves as the director of USD’s Center for the Study of Constitutional Originalism. 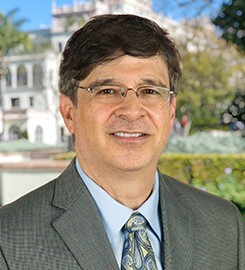 He joined the USD School of Law faculty in 1991. “Classical Liberal Administrative Law in a Progressive World ” in Handbook on Classical Liberalism (Todd Henderson, ed.) (Cambridge University Press, forthcoming 2018); “The Constitution and the Language of the Law” in William and Mary Law Review (with John McGinnis) (2018); “Originalism and the Colorblind Constitution” in 89 Notre Dame Law Review 71 (2013); and Originalism and the Good Constitution (with McGinnis) (Harvard University Press, 2013). Submit changes to Michael Rappaport's profile.